_Kickstart shaft hitting the clutch plate. 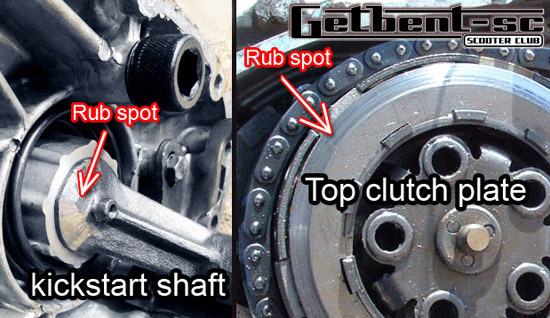 _The kickstart shaft, hitting the clutch plate is a common problem. _a. 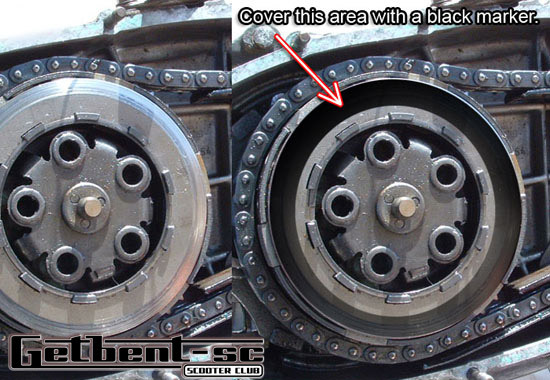 Some original side case gaskets were designed thicker. _b. 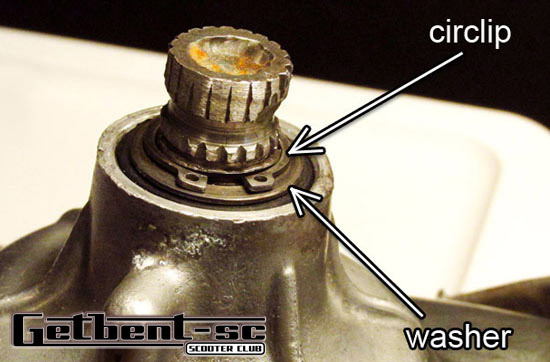 The kickstart shaft washer, maybe damaged are missing. _1. 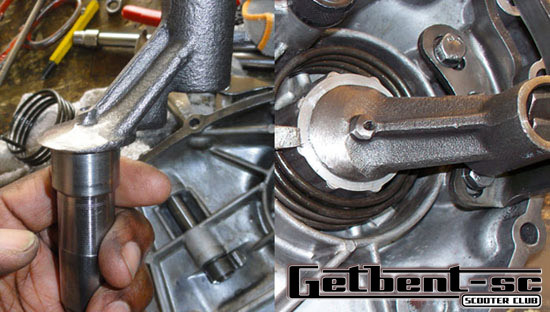 Check to see if the kickstart shaft washer is installed correctly. ___If you see a gap at this point. Thats a problem. 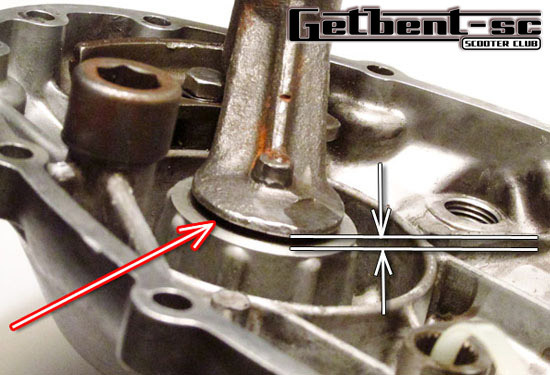 _What happens is, the pedal spring tries to push out the kickstart shaft, causing the gap. _2. There should be a circlip and washer here. ___need to add additional washers here. _After the steps above are taken. _over several times. 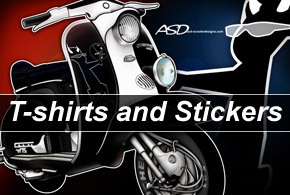 If it rubs, it will show up on the black clutch plate, and kickstart shaft. _Before you do the modification below. _Check for a good aftermarket kickstart shaft from one of the many, scooter shops. 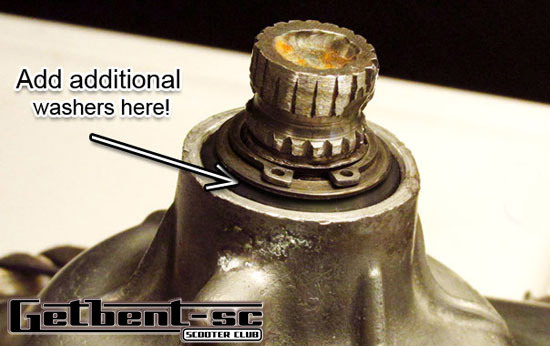 _Heres an example of a kickstart shaft I modified, using a basic grinder. _This will fix the problem and shouldnt weaken the shaft, if done correctly. _1. 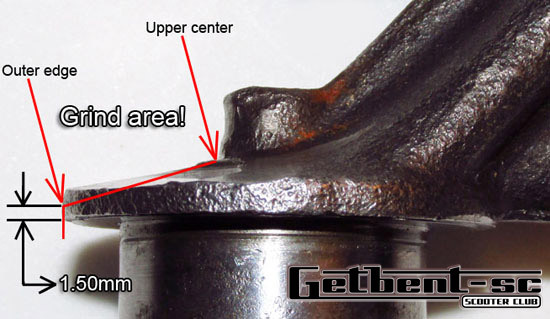 This area on the shaft, is all you need to modify. _2. 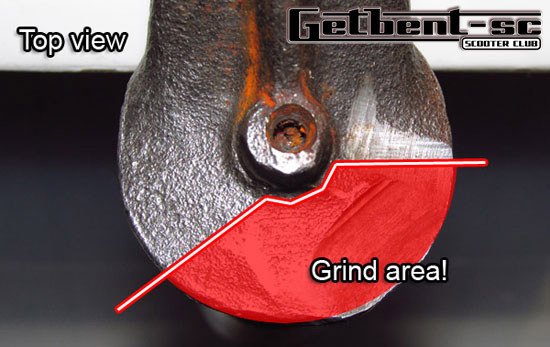 This side view shows the depth to grind. ___As you can see. You dont touch the core (strength) part of the kickstart shaft. _3. 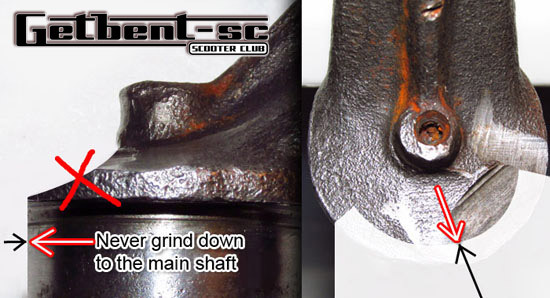 Never grind down to the main shaft rod! _kickstart shafts, that need to be modify. _Anthony D. Armstrong - 2015 Kickstart shaft fix. _© Copyright 2015 GetBent-sc.com, All Rights Reserved.